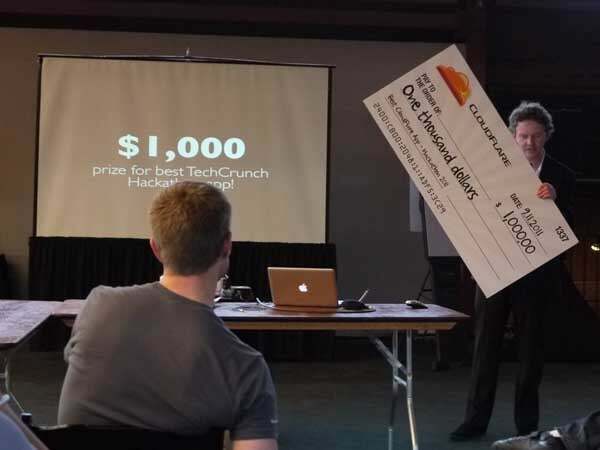 Sure, giving out a big, fake check is fun, but does it make for a better - or worse - hackathon? Next week at their annual Dreamforce user and developer conference in San Francisco, Salesforce will be hosting a hackathon at the end of which they’ll be giving out a first place cash prize of $1 million. This high stakes competition is the latest in a growing number of hackathons that are offering bigger and bigger prizes, including the LAUNCH Hackathon just last week, which offered $1.6 million in cash and prizes, and GlobalHack’s recently announced plan to give away a $1 million first prize in a new series of annual hackathons. Companies and organizations offering high value prizes to developers for spending a day or two doing what they love best - coding - is surely a good thing, right? What’s for programmers not to like about that? Well, depending on whom you ask, it may not be the best idea in the world. When I heard about the Salesforce hackathon a few weeks ago, it made me wonder if there were developers out there who weren’t in favor of hackathon prizes. Indeed, I found a number of software engineers writing on blogs and discussion boards about why hackathon organizers shouldn’t give out prizes (or judge entries at all) or, at least, shouldn’t emphasize them so much. To many people, the point of a hackathon is to come together with other like-minded folks to work on solving an interesting problem, share ideas and learn from each other. By offering prizes, this can discourage people from being as open about what they’re doing and make connecting harder. Judging results, in general, can make what’s meant to be a fun, collaborative experience less of both. Prizes turn hackathons into competitions, and when people compete, some may be tempted to cut corners or do whatever it takes to win. The larger these prizes get, the more likelihood cheating will occur. When companies begin dangling the prospect of money in exchange for coding, developers begin to get suspicious that they’re just being used. At what point does it really become a job, which most attendees end up doing for free? Prizes are great - if you win. Not so much if you don’t. So, maybe big hackathon prizes aren’t the greatest thing since sliced bread. What’s your take? Do you like hackathons that give out prizes or do you think it’s a bad idea? Let us know in the comments.